In 2003, Hutchinson and their new brand, Three, brought the 3G experience in Europe and all of the biggest players on the market wanted a piece of the cake. Motorola and NEC were the first to have 3G models available on time for the launch. These were huge, had a poor battery life and buggy software on top of the already scarce coverage of the budding UMTS networks. The newly formed alliance between Sony and Ericsson weren’t ones to be left behind, though. Ericsson had multiple 3G prototypes in the works for testing the new generation networks and their capabilities, such as the fabled R520m Valentina (pictured below). 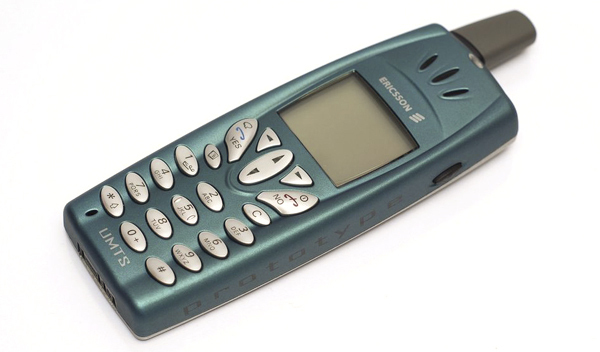 Come 3GSM World Congress 2003 (today called the Mobile World Congress) and their entry into the UMTS race was finally announced: the Z1010. As opposed to NEC and Motorola, Sony Ericsson put a lot more thought into the actual design of the phone and thus the Z1010 was to be the prettiest of the bunch even though it retained the huge dimensions. Additionally, it promised to be a true multimedia machine with a big screen, an MP3 player, two VGA cameras and a memory expansion slot to supplement the integrated 32MB available to the user. Compared to models such as the NEC e606 or Motorola A835 which looked more like prototypes, the Z1010 was actually much closer to a viable commercial product, maybe even a bestseller. Sony Ericsson even demoed the video calling capabilities during the presentation to emphasize the phone’s readiness to take on the future. The best part? It was going to be commercially available as early as mid-2003. Sadly, technical problems related to interoperability with the other phones sold by Hutchinson led to the Z1010 being postponed until January of 2004 after all of these were solved. Indisputably it was an interesting phone, especially since it brought Sony Ericsson’s multimedia savvy into the age of 3G, it was not larger than its competitors and it was even much more pleasant to look at. Despite this, UMTS had not yet caught wind and the Z1010 was to be quickly forgottone among the sea of more portable traditional 2G GSM phones, just like its other peers from the first generation of 3G phones. Let’s take a detailed look at what made the Z1010 special and more desirable than its competitors.